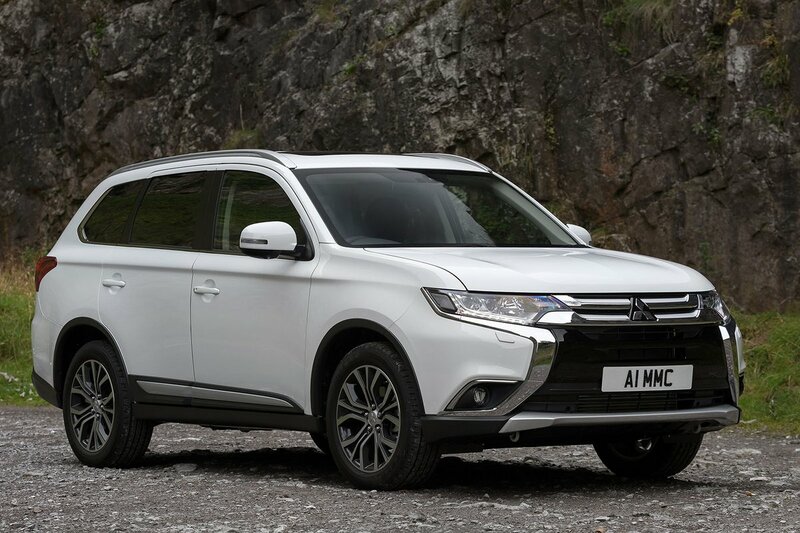 Mitsubishi Outlander Boot Space, Size, Seats | What Car? There’s an adequate amount of leg and head room, although really tall people may feel a little cramped as neither seat goes low enough. Storage cubbies abound, including large door bins with integrated bottle holders, two cupholders in front of the gearlever, a useful storage tray for a phone and a front centre armrest with an integrated storage compartment. Tall passengers in the middle row might find their heads brushing against the ceiling on models fitted with a sunroof, but the seatbacks can be reclined to improve head room a little. There’s room for three adults, but head room is tighter still for the middle passenger, whose seat is slightly raised. Leg room in the five-seat version is fairly described as “sufficient”, and this remains the case when the rear bench fitted to seven-seat models is slid back fully. The two rearmost seats are really best suited to children, but average-sized adults should be fine for a short journey. These seats fold easily into the floor when not required. Headrests are standard across the range and the second row has a built-in armrest with twin cupholders. The door pockets have bins with bottle holders and the rear wheel arch covers in the boot have cupholders and storage trays for those in the third row. 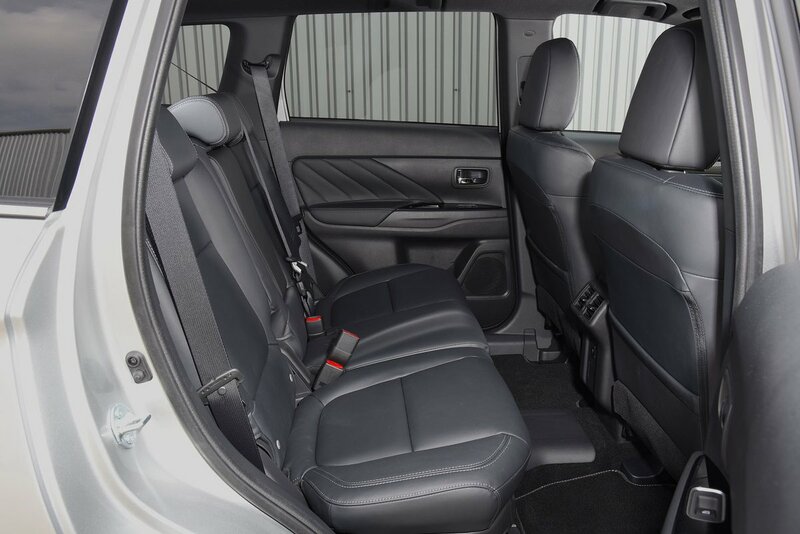 The Outlander’s flexible seating makes it an ideal choice if you’re looking for a practical SUV. The third row of seats splits 50/50 and the second row splits in a conventional 60/40 fashion. As a result, you can keep some seats in position if you’re loading longer items in the vehicle or drop all of them flat to create a huge load bay. The rear seats recline and slide back and forth on seven-seat versions. The front passenger seat also folds flat – this could come in handy for those longer loads. Range-topping 4 models feature a four-way electric driver’s seat. 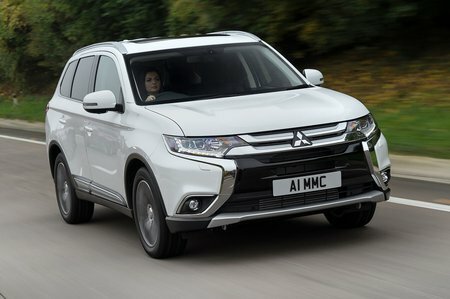 In five-seat mode, diesel models have a decent size boot that offers similar levels of space to rivals. In seven-seat mode, there’s still enough space for a few shopping bags. The second and third row of seats fold completely flat and there’s a vast amount of load space with all of them folded. Due to space occupied by the hybrid system, the PHEV goes without a third seating row and the boot area is slightly reduced. All versions have a high boot lip that can make loading heavy items tricky. Fortunately, the opening is wide and the boot itself is free from obstructions, making it easy to slide things in. Top-spec 4 models get an electric tailgate.